This is the hallway from my bedroom to my office. It’s a four-step commute by day but takes an extra step or two if shuffling sleepily for a 2 a.m. pee. I could use the much-closer ensuite toilet, but journey to the office bathroom out of consideration for my sleeping husband. I had a strange encounter with this hallway recently. Two steps into the mid-sleep-pee-shuffle I bumped hard into a closed door. Startled but still drowsy, I paused and then walked into it a second time. This jolted me into alertness. I reached out for the door handle but couldn’t seem to find it in the dark. Wait. Why was it so dark? There is usually a glow from the programmable thermostat in the hallway. I spun around but was afraid I might wobble and fall down the stairs, so I retraced my footsteps backward to look for the glowing gadget on the wall. Nothing. The power must be out. I stood still in the darkness, my mind now racing to make sense of the closed office door (which I was sure I’d left open earlier), the shortened hallway, the eerie darkness and possible power outage. I must be somewhere else. Were we visiting some one? No, this was definitely my home’s hallway. I could see the dim outline of my bedroom window behind me, right where it should be. I could hear the dogs snorting on their floor beds. And I needed to pee. That was whole reason for getting out of my nice warm bed in the first place. Hurry Jean! Your bladder will explode! Think, think. Taking my bearings from the window behind me, I cautiously moved forward down the blackness of the hallway and again encountered the office door entirely too soon. “I don’t know why this door is closed or why it seems to be in the wrong spot, but I am going to open it and see what is going on here!” My thoughts were now coming in a clear, commanding tone. I was Sigourney Weaver, Jodie Foster and Mayim Bialik rolled into one. (Meanwhile, some other part of my brain was narrating the scene in a golf whisper: Jean is confused by this situation but she is handling it calmly, I must say. She’s a clever girl, folks. Let’s watch her figure this out.) I giggled, perhaps for the sake of the imagined audience. “What the heck is going on here?” I said quietly, still careful to not wake my husband. I began to feel the door for its handle (why couldn’t I find the handle?!) and touched something soft. Fabric? Did the door slam in the breeze from an open window? Were the curtains somehow caught in the closed door? Impossible. The curtains wouldn’t reach. I had closed the windows before bed. Oh God. I knew exactly what had happened: A burglar had cut the power, came in through the office window, and hastily shut the door as I approached – wedging his jacket as he did so and pinning him motionless on the OTHER SIDE OF THIS DOOR. Sweet mother of mercy, I was inches away from an intruder! I leaned my ear towards the door to hear my killer’s breathing but couldn’t seem to land on it. I raised a hand in front of my face and in the blackness touched something so startling I gasped: a shoe. A shoe I knew immediately: my own Fleuvogs. I’d missed entering the hallway from my bedroom by a sleepy stumbling step and was instead in my closet. The “door” I’d encountered was really a bank of drawers. The murdering burglar’s jacket was a protruding t-shirt. Above the drawers are shelves for my shoes – had I reached higher to begin with I would have figured this out immediately. Instead I had just spent several moments in the pitch black closet, pondering mysterious circumstances and then fearing for my life. No time to reflect, though. Back to reality – I needed to pee. Out in the (actual) hallway the thermostat glowed normally just as it should. The power was not out. Four strides ahead the office door was wide open, and within seconds I was gratefully completing my original mission. I laid awake in bed afterward, smiling to myself. I have been sober for three years now, and one of the most unexpected gifts of recovery has been my ability to laugh at situations that would have otherwise felt disgraceful. “You knew I was in there?” I hooted. The thought of his awareness juxtaposed with my confusion made the situation even more amusing. “Well, it’s a funny story,” I started and soon I had him laughing with me. “You’re crazy,” he said, shaking his head. Previous Are You A Recovery Hero? 😀 Great post, and beautiful closet. Oh my goodness! Too funny! Yet I wonder, why didn’t your husband go to help you to save you from the intruder? hehe! Thank you for putting into words one of the best things I’ve liked about not drinking the last five months – I cut myself way more slack. I’ve noticed my husband does too. I think I was using it as a reason to be so hard on myself – talk about digging your own hole. Congratulations on five months of sobriety! You are through some of the hardest parts – a huge accomplishment. Now onward ho! Priceless!!!! Peeing somewhere I wasn’t supposed to was one of my greatest fears too! Hey again you’ve made me giggle. You know I live near St Andrews, you sure you don’t want a job commentating with that excellent golf voice of yours?? They’d love you here. I love this! AMAZING WRITING. This is an extremely well written and entertaining story! I will look forward to future posts! You are a marvelous story teller! Loved this true tragic (but not really) tale. Hilarious! Thanks for the laugh, I needed it today! You had me cry-laughing. Great story, hilarious delivery. Thanks, MishedUp! I love my closet – at least when the lights are on and I am aware I’m in there…. My husband go lost in the bedroom one night. I was lying their laughing to myself, just as your husband did. Sober sleep make me hear it. We had a good laugh in the morning. Great post! Love this! Day 12 and counting. Pretty sure ive had a “closet ” moment as well. Thanks for sharing! I thought it was sweet that he thought I was actually “doing” something in there and not just lost and confused. He has grown accustomed to my constant puttering by day and assumed it was spilling into the night. Great post. I can relate! Ha, being sober makes even the craziness OK! I’m on day 47 and have found additional strength from your posts. And therapy certainly helps to kick the skeletons out of the closet. I’m self-managing, not into groups…. So thank you, once again, for your guidance. Jean: I enjoyed this story–especially the “golf commentator” inclusions. I have been following you since mid-April and am happy to have you back posting more frequently. I got 7 days right now with lots of 7, 10, and even two 30+ day stints since mid-April. I have followed a few other high-profile sober bloggers, but I sometimes feel that they don’t dig as deep as you and Ellie (whom I’ve also been following and happy to have back posting occasionally again). Thank you for your honesty about every aspect of leaving alcohol behind in order to grow in countless ways. My pleasure and privilege, truly. Stay persistent and don’t give up! It is really great to live alcohol free, I promise. Once you get into the groove it is a free, lovely way to live. 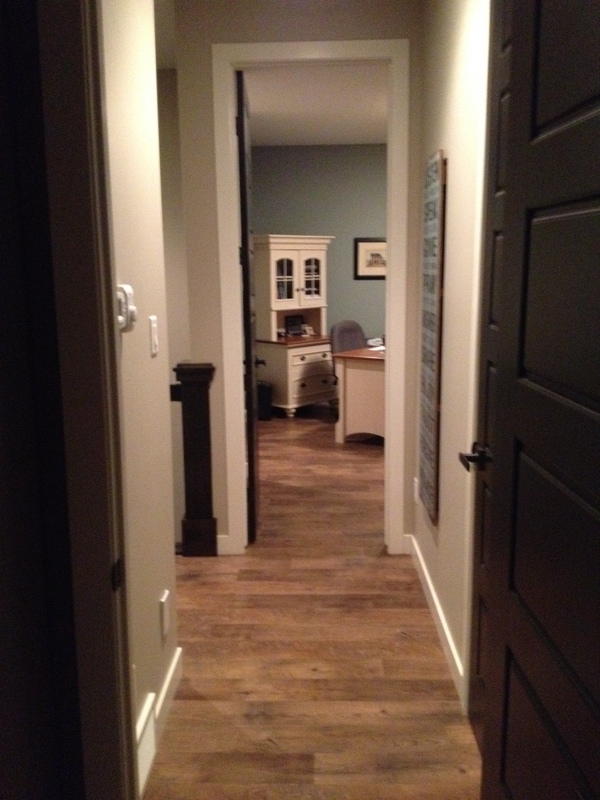 I know this is completely not the point of your story, but I love the hardwood floors and color scheme in your hallway. Beautiful! just a great post, and told beautifully. High five, sister! Omg! Laughing so hard here I am almost peeing my pants. Thank you, Jean, for adding more laughter to my day. Love it!!! Lol. I love that your husband knew you were awake. Thank you for all that you put out there – so “comforting” to know there are many out there and we are not alone (or as alone) as we sometimes feel.